On the Windows Servers I use for development, I like to keep things simple. That means security should be in place, but at the same time should be workable and flexible enough for me to install and download things, without getting nagged by obnoxious over-active security mechanisms. 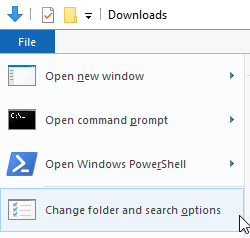 In order to do so, I execute the following steps on every Windows development server I install. If your Windows server is publicly available from the internet, then there is a 100% chance that hackers, network scanners and brute force robots are trying to guess your Administator login and password as we speak. Using password dictionaries, they will automatically try to login to your server hundreds to thousands times every minute. Not only this is bad for your server’s security, but it also wastes a lot of resources, such as CPU and bandwidth. 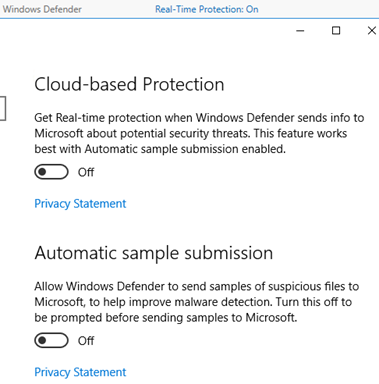 Set client connection encryption level – Set this to High Level so your Remote Desktop sessions are secured with 128-bit encryption. Require secure RPC communication – Set this to Enabled. 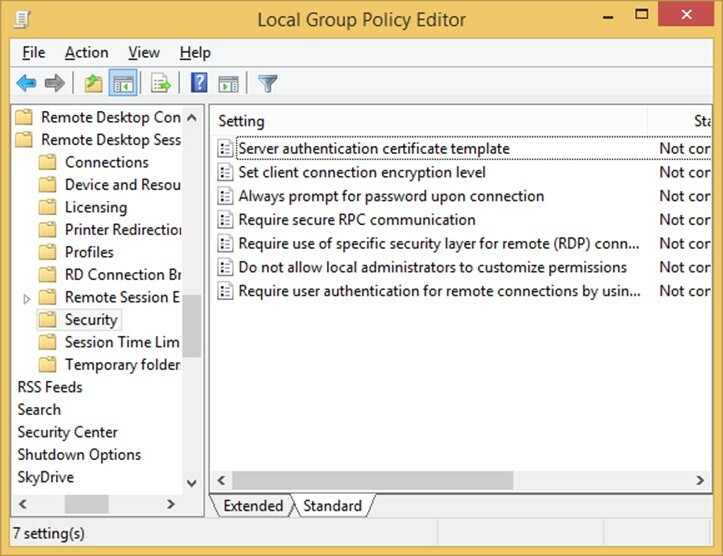 Require use of specific security layer for remote (RDP) connections – Set this to SSL (TLS 1.0). Require user authentication for remote connections by using Network Level Authentication – Set this to Enabled. Disable Remote Management, unless specifically needed. I’m not a fan of having stuff enabled that I don’t use or need, so even tough this probably isn’t a security risk, I’m going to disable it anyway. Go to Server Manager à Local Server à Remote Management and click ‘Enabled’. 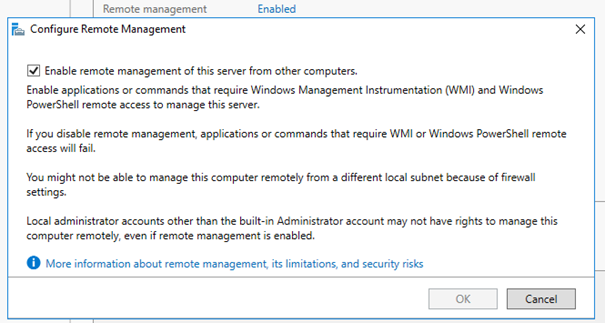 In the window that opens, untick ‘Enable Remote management of this server from other computers’ and hit apply. Check ‘Do not start Server Manager automatically at logon’. Like I said, this is a development server. There’s no need for me to have top notch security, as I’ll probably spin up a new machine in a couple of months again and delete this one. 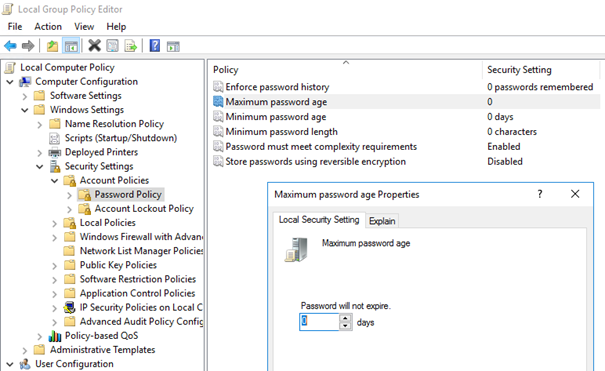 Go to Computer Configuration à Windows Settings à Security Settings à Password Policy. Change ‘Maximum password age’ to 0. Hit apply and ‘Password will not expire’ should now be shown. 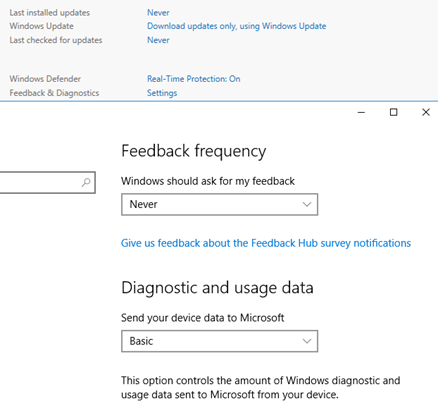 Windows Server 2012 and 2016 use ‘active hours’ to determine whether or not it’s safe to reboot the machine for updates. Moreover, the maximum time frame of the ‘active hours’ cannot be greater than 12 consecutive hours. To be honest, I don’t know who came up with this brilliant idea, since a server is usually designed to be on 24/7. Therefore, I prefer choose when Windows reboots for updates by scheduling a specific time, instead of playing Russian roulette whether or not the thing is going to reboot while I’m running any jobs/tests. 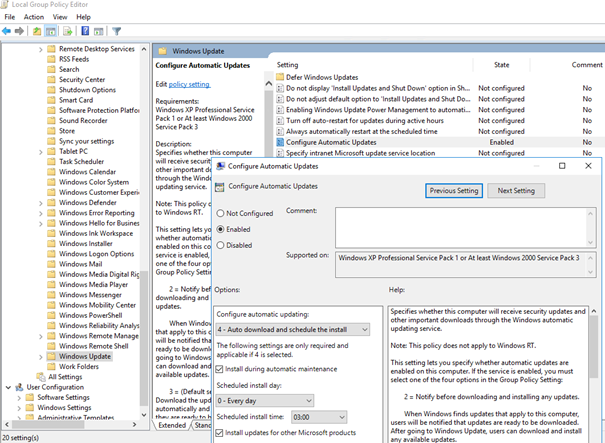 Go to Computer Configuration à Policies à Administrative Templates à Windows Components à Windows Update. 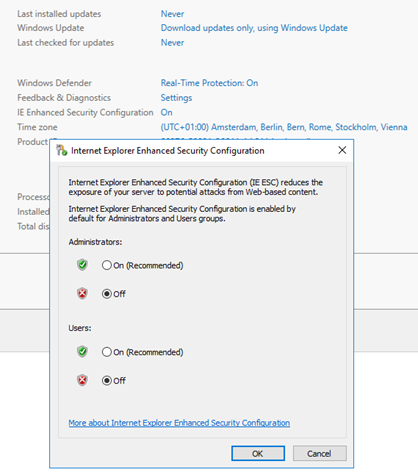 Windows Server 2012, and especially Windows Server 2016, are quite intrusive when it comes to privacy. I don’t like the automatic sharing of ‘diagnostic and usage data’ (whatever that may be), so I switch off these options as far as possible (hoping they actually do something instead of being bogus buttons/placeholders). It’s always handy to know whether or not you’re opening invoice.pdf.exe or an actual invoice.pdf, isn’t it ? 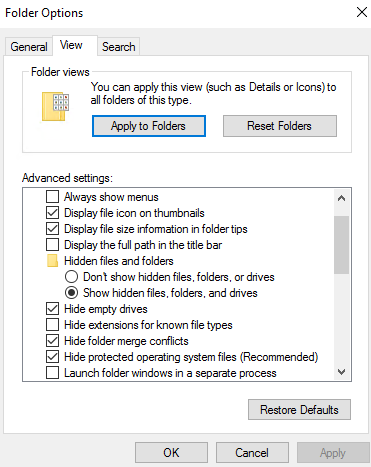 Tick ‘Show hidden files, folders and drives’ and untick ‘Hide extensions for known file types. Hit apply and OK. I hate waiting for my disks to spin-up and since this is a server, I always choose the High Performance Power Plan in order to get maximum performance. Go to Control Panel à Hardware à Power Options and tick ‘High performance’. These two tools belong in every developer’s toolkit, so install them while you’re at it! That’s all for now. Comments or questions? Let me know down below. Cheers! In this guide, I’m going to show you how to secure your Traccar installation with SSL, so that it can be reached over https instead of http. Traccar is a free and open source modern GPS tracking system. Since Traccar has no native support for encrypted connections, we’ll do so by setting up a Reverse Proxy using IIS (which is the recommended method by the developer). We’ll be using Let’s Encrypt to generate a free valid certificate for your Traccar installation. A working Traccar instance, reachable over http (by default http://localhost:8082), installed on Windows Server 2012 R2 or Windows Server 2016. (Of course, in the screenshot above, change the variables to meet your environment, i.e. replace ‘123.123.123.123’ with the IP of your Traccar server and ‘traccar.yourdomain.com’ with your own (sub)domain. First, install the URL Rewrite add-on module. From Windows Server 2012 R2 and up, you can use the Microsoft Web Platform Installer (WebPI) to download and install the URL Rewrite Module. Just search for ‘URL Rewrite’ in the search options and click ‘Add’. Change the variables to meet your environment. Close IIS for now and download and install ‘Certify the web’, a free (up to 5 websites) SSL Certificate Manager for Windows (powered by Let’s Encrypt). Certify will automatically renew your certificates before they expire, so it pretty much takes care of itself. The rest of the information should now autofill, based on the details you entered in IIS. Click OK and click ‘Save’. and select your Traccar domain from the dropdown menu, i.e. ‘traccar.yourdomain.com’ and click OK.
Have fun! Any questions or comments, let me know down below. Updated 11 January 2019: Fixed syntax based on comments. Thank you! If you are managing a Linux server, you’ve probably heard about DNS amplification attacks which make use of misconfigured DNS servers. DNS amplification is a DDoS technique which uses a large reply by DNS resolving the target. This is accomplished by spoofing the query with the source IP of the target victim to ask for a large DNS record, such as an ANY reply of the ROOT record or isc.org, which is most commonly found. The request itself is usually around 60-70 bytes, while the reply is as much as 2-3K. That’s why it’s called amplification. It will not only make your network participate in the attack, but it will also consume your bandwidth. More details can be found here. Blocking these kinds of attacks can be tricky. However, there are some basic iptables rules that block most of it, using them in combination with fail2ban. As usual, your mileage might vary. The commands below were tested and executed on Ubuntu Server 16.04 LTS 64-bit. The first iptables rule looks for the incoming udp packets on port 53 and searches the first 50 of packet for hex string “0000FF0001” (which is equivalent to an ANY query). The second iptables rule drops the packet if the source ip and query type (in this case “ANY”) matches and occurred more than one time in the past second. Make sure to save your iptables rules, using something like iptables-persistent, so that they stick when you reboot your server. In case this approach doesn’t work for you, try using the following alternative, which makes use of Fail2ban instead of IPtables. That’s all folks! Any feedback or suggestions? Let me know in the comments! Recommended further reading: A Realistic Approach and Mitigation Techniques for Amplifying DDOS Attack on DNS in Proceedings of 10th Global Engineering, Science and Technology Conference 2-3 January, 2015, BIAM Foundation, Dhaka, Bangladesh, ISBN: 978-1-922069-69-6 by Muhammad Yeasir Arafat, Muhammad Morshed Alam and Feroz Ahmed. The title of the knowledge article above says that it’s intended for Synology NAS running DSM 5.0 and later. At the point of writing, DSM 6.1 is the latest available DSM version, so I had a suspicion that the knowledge base article might be out of date. Because my NAS models were not identical to each other, I had to follow section 2.2. of the article linked above; Migrating between different Synology NAS models. After doing so, I can confirm that my suspicions were right; the knowledge base article is out of date, the migration process between two Synology NAS just got easier! Section 2.2. Migrating between different Synology NAS models starts with a word of caution, telling you that all packages on the target Synology NAS (i.e. your new NAS) will have to be reinstalled, which results into in losing the following data (…) Mail Server and Mail Station settings & Surveillance Station settings. This was applicable to my Synology NAS, as I had these packages installed and were actively used. However, after performing the migration to my new NAS as described in Section 2.2. (which basically comes down to update your old NAS to the latest DSM, switch it off, swap the drives to the new NAS and turn it on) my new Synology said the packages had to be repaired instead of being reinstalled. After clicking the repair button, all my packages came back to life on the new NAS, without any data loss; all my settings and files, including from Mail Server, Mail Station and Surveillance Station (emails as well as recordings), were still there! Needless to say, it’s still good practice to backup you data before performing the migration, as described in section 1 of the knowledge base article linked above. 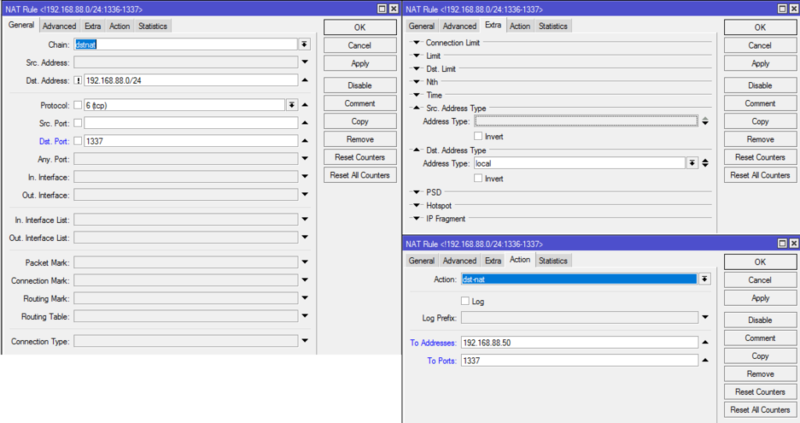 However, what did change was the IP address of my NAS. I assumed that my new NAS would be using the same IP as my old NAS, as Synology instructs you to turn off your old NAS before powering up your new NAS, but that was not the case. So after the migration, use the Synology finder to find the new IP of your NAS and change it to your old IP after the migration, which can be in the Control Panel à Network. 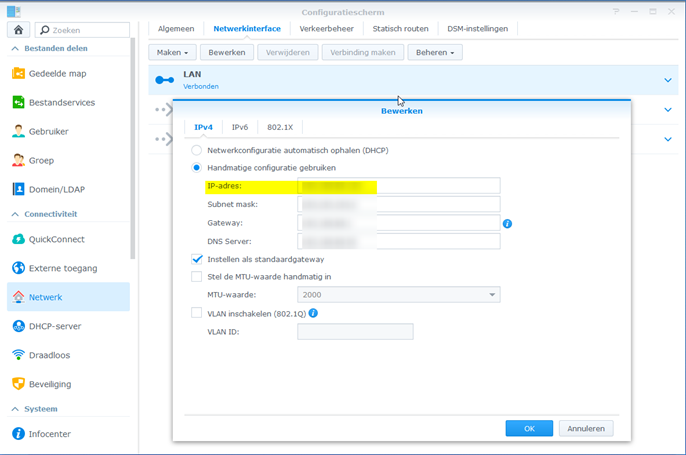 Also, lastly, I had to re-register my DDNS hostname by re-logging into my Synology account, which can be done in the Control Panel à External Access. PS. Should you have bought any additional Surveillance Station license keys in the past, don’t forget them down and to deactivate them on your old NAS before the migration, since the license keys can only be active on one Synology product at a time. Also, as an FYI, each license key can only be migrated just once. TeamSpeak Server 3.0.13 not starting? Install Visual C++ Redistributable for Visual Studio 2015! Recently I encountered issues starting my TeamSpeak server after updating it from version 3.0.11.4 to 3.0.13.6.; it would immediately crash with a blank error log. Nowadays it’s dead easy to schedule a PHP script as a cronjob/crontab in Plesk Onyx for Windows. 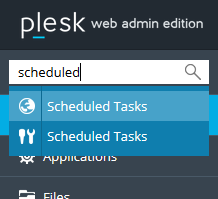 However, in the previous versions, Plesk did not supply a sample syntax for scheduled tasks. Most examples found on the interwebs assume that you’re running Plesk on Linux, but if you are like me and run Plesk on Windows, that syntax is just plain wrong. Step 2. Create a new cronjob/crontab as shown above. Adjust the parameters to your liking. 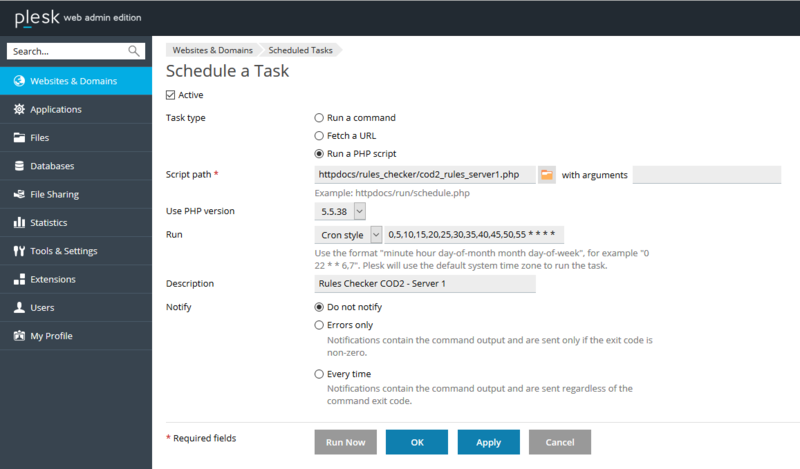 In this example, I’ve scheduled the particular .php script to run every 5 minutes of each day of the week. Step 3. You’re done! In the end, your finished cronjob/crontab should look like in the image above. If desired, you can also run it on demand by clicking Run Now. The Azure control panel might be overwhelming at first, but it’s pretty intuitive once you start using it. Basically the workflow is from left to right, i.e. if you click on an option, a new screen opens to the right. Even though IPv6 is supported for Azure VMs is available in most regions, you cannot assign a IPv6 directly to a VM. It can only be assigned to a load balancer. Additionally, you may not upgrade existing VMs to use IPv6 addresses. You must deploy new VMs. Lastly, you cannot add IPv6 load balancing rules in the Azure portal. The rules can only be created through the template, CLI, PowerShell. If you want to save money by switching off VMs you don’t use during certain times (for example during the night or outside office hours) you can have Azure automatically switch off these servers. However, if you want Azure to also automatically start these servers (for example in the morning), you either need to create a Automation Runbook or (re)create the server in a so-called DevTest lab. VMs are automatically allocated a dynamic WAN (‘internet facing IP address’) in order to communicate with the internet. This causes the IP address to change when you stop and start the VM, for example using auto-start/auto-stop as described above. 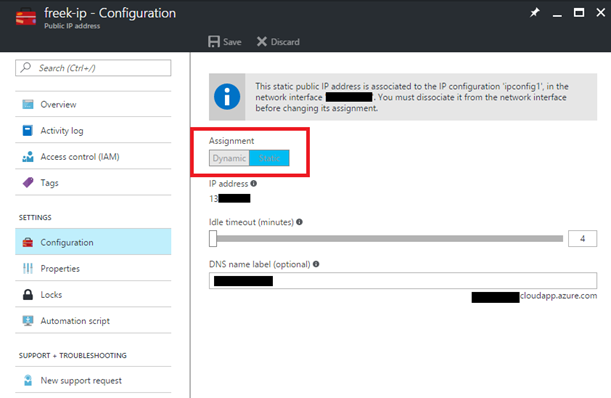 You can specify a DNS domain name label for a public IP resource, which creates a mapping for domainnamelabel.location.cloudapp.azure.com to the public IP address in the Azure-managed DNS servers. For instance, if you create a public IP resource with contoso as a domainnamelabel in the West US Azure location, the fully-qualified domain name (FQDN) contoso.westus.cloudapp.azure.com will resolve to the public IP address of the resource. This is particularly helpful in case of using a dynamic IP address. It’s possible to delete the VM and preserve the static IP address, for example to assign to another/new VM. In order to do so, do not delete the entire resource group that is associated with the IP address. Instead, shutdown the VM, then delete the NIC associated with the static IP you want to preserve. Then delete all other components in the resource group except for the IP you want to preserve. 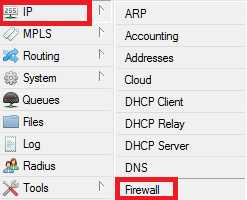 Please do note that IP addresses cannot change resource groups, so in order to re-use the IP address, you need to create a new VM (or load balancer) in the same resource group as the IP address. VMs in a DevTest lab are deployed without a Network Security Group (also known as a firewall) within Azure. They only come with the default Windows Firewall running on the machine itself. Should you want a NSG/Firewall within Azure as well, you can deploy one yourself in the same resource group and assign it to the VNet of the VM you created in the DevTest lab. Please do note that this requires you to forward ports in twofold; one time within the VM itself in the Windows Firewall and the second time from within the NSG/Firewall in the Azure portal. This is also the case with normal VMs (i.e. VMs that are not created in a DevTest lab) as they come with a NSG/firewall by default. Azure offers two types of storage disks: SSD (Premium storage) and conventional HDD (Standard storage). SSD disks come in 3 sizes, 128GB, 256GB, 512GB. HDD disks have a flexible/user chosen size which can vary up to 1TB. You need to create a software RAID in order to get a large volume/disk. Premium Storage supports DS-series, DSv2-series, GS-series, and Fs-series VMs. You can use both Standard and Premium storage disks with Premium Storage supported of VMs. But you cannot use Premium Storage disks with VM series which are not Premium Storage compatible (for example the A-series or Av2-series). If you’re using standard storage, you’ll only be charged for the data you’re storing. Let’s say you created a 30 GB VHD but storing only 1 GB of data in it, you will only be charged for 1 GB. All empty pages are not charged. Azure Storage provides the capability to take snapshots of your VMs. In order to take snapshots of your VM, you need a Recovery Services vault. A Recovery Services vault is an entity that stores all the backups and recovery points you create over time. The Recovery Services vault also contains the backup policy applied to the protected files and folders. 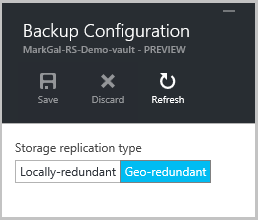 Previously, when you created a backup vault you had the option to select locally redundant storage (LRS) or geo-redundant storage (GRS). This has now changed and you do not have the option during the vault creation. About half a year ago, I bought a Mikrotik RouterBoard RB962UiGS-5HacT2HnT hAP AC (Phew! What a mouthful!). It’s a great router, or should I say routerboard, which has more features I could ever wish for… maybe even too many! See the arrow which, with a little bit of imagination, looks like a hairpin? Hence the name…anyway, let’s continue! Don’t forget the exclamation mark in front of the Destination Address! They all had Event ID 1008 and Perflib as source. The only difference was it’s service- and DLL name. Apart from these errors appearing in my Event Viewer, I didn’t notice anything strange with my computer; Everything was working like it should, so I had no idea what this could be causing and what (according to Windows) wasn’t working like it should. After a quick Google search, I found out that the error itself isn’t a big deal; It’s just saying it can’t collect performance data. – I ran a virus scan as well as a malware scan, without success. – I ran a chkdsk, without success. – I ran sfc /scannow, without success. – I ran lodctr /r, without success. – I ran Microsoft’s SystemFileChecker tool to repair missing or corrupted system files, without success. 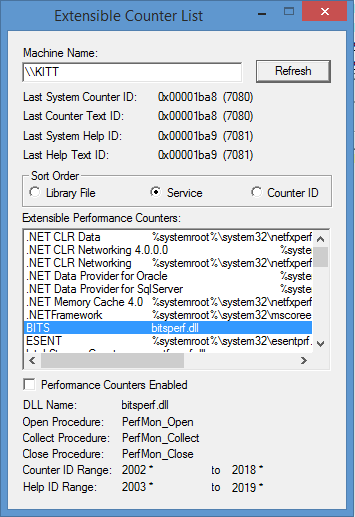 – I removed and reinstalled the BITS, ESENT, LSA and MSDTC service without success. After downloading and installing Extensible Counter List, go to C:\Program Files (x86)\Resource Kit and run Exctrlst.exe as Administrator. Next, find the service(s) in the list that Windows reports it is unable to collect performance data for and uncheck ‘Performance Counters Enabled’ for each service. Although this doesn’t solve the initial problem why the errors are occurring, at least it helps you to get rid of them from Event Viewer (a.k.a. symptom treatment)…. But since the errors themselves aren’t a big deal, you should be fine. A friend of mine was having issues booting his laptop. The BIOS recognized his SSD, an Intel SSD sa2bw120g3a, but Windows was nowhere to be found. Even bootable partition and hard drive managers showed no sign of the SSD. This got me thinking that the SSD was dead, which was odd, as the BIOS was still recognizing it. Several minutes of Googling lead me into the right direction; My friend’s SSD was suffering from the 8MB bug that was discovered in (almost all) Intel SSD firmwares, back in July 2011. As my friend never encountered issues with his SSD and wasn’t up to date about this fact, he never updated his SSD’s firmware, which could have prevented this bug from happening. The 8MB bug is caused by an unexpected power loss under specific conditions. This will reduce the capacity of the SSD to 8MB and change the serial number to “BAD_CTX 0000013x”. Once this error occurs, no data on the SSD can be accessed and the user cannot write to or read from the SSD. The only way to get the SSD back to work is to erase it. That’s right, all data on the drive is permanently lost. Some people have been able to start from scratch by wiping the drive’s contents with utilities such as HDDErase and Parted Magic but this only works if your SSD is not ‘frozen’. And since my friend has all the luck in the world, sure enough his SSD was frozen. Fixing a frozen Intel SSD suffering from the 8MB bug requires a more technical approach but it’s no rocket science once you know what you have to do. So, let’s get started! Update 21-11-2016: Mini Linux was removed from recent Hiren’s Boot CD versions. The last Hiren’s Boot CD to include Mini Linux is version 13.2 which you can download from the link above. 1. Burn Hiren’s Boot CD to a CD or create a bootable USB stick, insert it into your computer and boot from it. 2. Select ‘Mini Linux’ from the menu and hit Enter. where sdX is your SSD device. Serial Number: BAD_CTX that confirms that you are hit by this bug. Unplug and then replug the SATA data cable of your Intel SSD while the system is still powered on. So, leave your computer powered on, open up your case, locate the SATA data cable of your Intel SSD, unplug it and then replug it. This should unfreeze your SSD. This latter command takes much more time (30-40 minutes) and you will have to reset the password (with step 4.) before running it because SOMEPASS is likely already reset by the previous command. The BAD_CTX thing should be gone and your drive should be functional. You can now reinstall your O/S. After all this don’t forget to update the firmware of the SSD using Intel SSD Toolbox to prevent the bug from happening again in the future.